Access the Online Global Innovation Camp 2018 Lesson Guide HERE. Kids Can! Innovation Camp, created by Francis Jim Tuscano, department chair and edtech coach at Xavier School, and first done in Xavier School – San Juan, Philippines, has been announced by global education nonprofit HundrED, as one of ten most inspiring K-12 innovations in sustainability education across the world. Kids Can! Innovation Camp, one of the innovations selected from nine countries to be recognized, focuses on teaching young students the UN Sustainable Development Goals and challenging them to solve global problems through design-thinking, project-based learning, and STEAM. Since last March, HundrED partnered with MUSE School, a sustainability driven day school in Calabasas, CA, set out to discover ten innovations in K-12 that have the potential to increase sustainability in schools across the globe. Dubbed HundrED’s Spotlight on Sustainability, the research-based initiative shares impactful, scalable innovations that address educational solutions to overcome the growing environmental challenges facing the planet. Innovations were scored by an advisory board and the ten chosen recipients were selected based on their scores for impact, scalability and for addressing sustainability in education in a fresh way. WHAT IS KIDS CAN! INNOVATION CAMP? At the heart of “Kids Can! 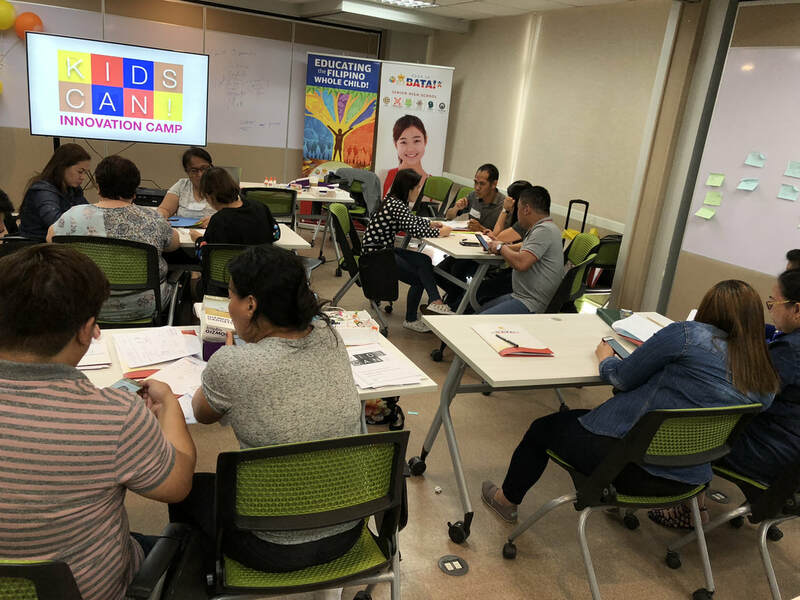 Innovation Camp” is the goal of involving, engaging and providing children and young learners the opportunity to become critical thinkers, creative problem-solvers, and active agents of change. The journey towards the goal starts with empathy. Kids Can! is rooted on project-based learning, the art of Making, Sustainable Development Goals, passion-based learning, and design-thinking. It's not just about STEAM or STEM! It is E+STEAM, as we add "E" for empathy to achieve a person-centered and values-driven approach to innovation. Four after-school clubs (Young Scientists, Social Scientists, SWAT - Student Working with Advanced Technology, and TechXplorers) went through the camp to help explore and build solutions to global problems. Design & Localize Your Own Camp! We are looking for translators to other languages! INTERESTED TO HAVE AN INNOVATION CAMP? ​The Kids Can! Innovation Camp Framework is for everyone to use! You may download the project framework from the resources. International translations are available for download!